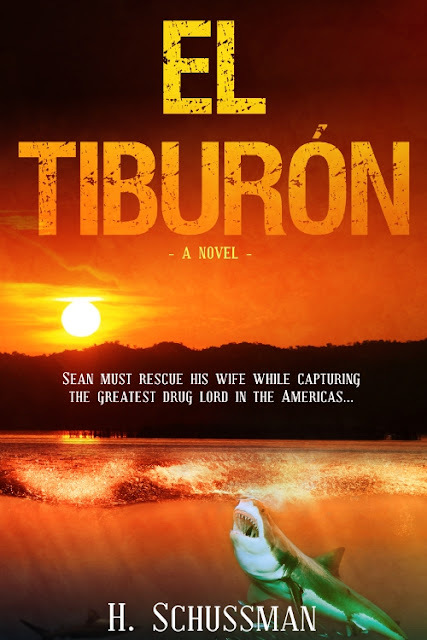 I am happy in a bittersweet way for my new book cover, El Tiburon. 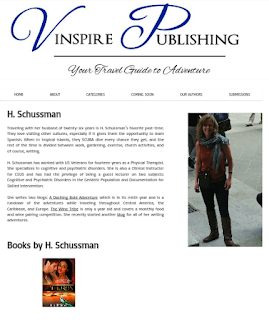 It was a difficult decision and honestly not easy for Vinspire Publishing to do. Let me take you back to the day I received my book cover. I was thrilled to be published and felt a constant flutter of excitement and awe that I'd been published by a real publisher. 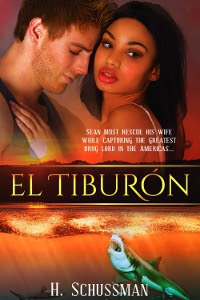 They accepted my book on the basis of it being an ethnic romance... she's black, he's white. They are madly in love. They have the hots for each other. The cover did a good job of portraying that passion, but that was only a small glimpse into their lives. Their passion was much deeper than a kiss. It was an "I will do anything to save her life" kind of love. It's a married love. Vinspire has a history of working with Christian authors. I'm a Christian author. A good fit. 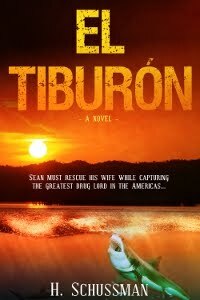 I felt Vinspire was visionary for seeing El Tiburon as a romance. That being said, I began to perceive the cover was not a good representation of the content. 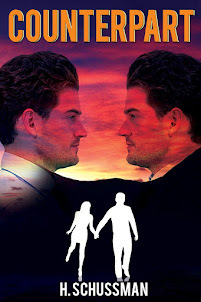 Readers who wanted a sultry romance were disappointed. 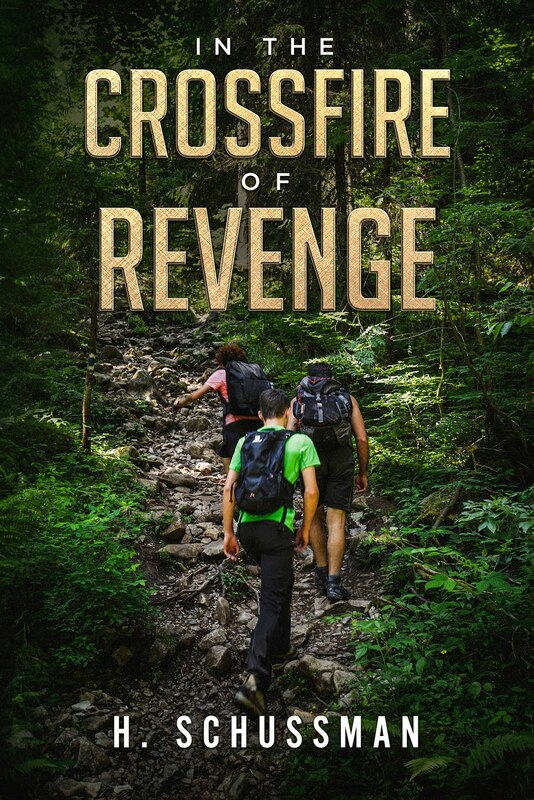 My audience (men and women who like a good suspense conspiracy story) was not interested in buying the book based on the cover. I even had several reviewers comment on the cover. First thing, DON'T LET THE COVER FOOL YOU. This is not a macho man saves beautiful woman thing. That's a husband and wife on the cover. This book DESERVES a worthy cover that tells the story better. You'd think it would be an easy process, but it's not. Dawn Carrington sent me several options of different models and backdrops, but none were an improvement. The male always looked either to polished or to rough... poor Dawn. She persevered, and finally we decided on no models. 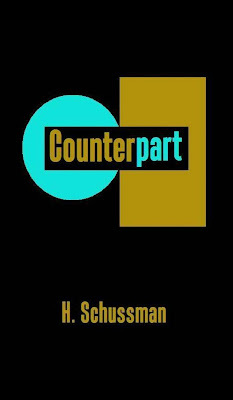 a publisher (I designed Counterpart's cover), and say hello to the new one. First, Jean, tell us a little about yourself. I’m a writer and blogger from Tulsa, Oklahoma. When I’m not writing novels or blogging about my faith, I work as a freelance web content writer and occasionally I provide editing and book formatting services for indie authors. I’m a big ol’ geek who’s really into crafting, reading, really good TV and Netflix dramas, simple living, home decorating and my husband. I’m also quite fond of our little menagerie of four-legged dependents. I wrote my first short story in first grade. I think the protagonist was a talking football who didn’t like getting kicked around. I was a weird kid. 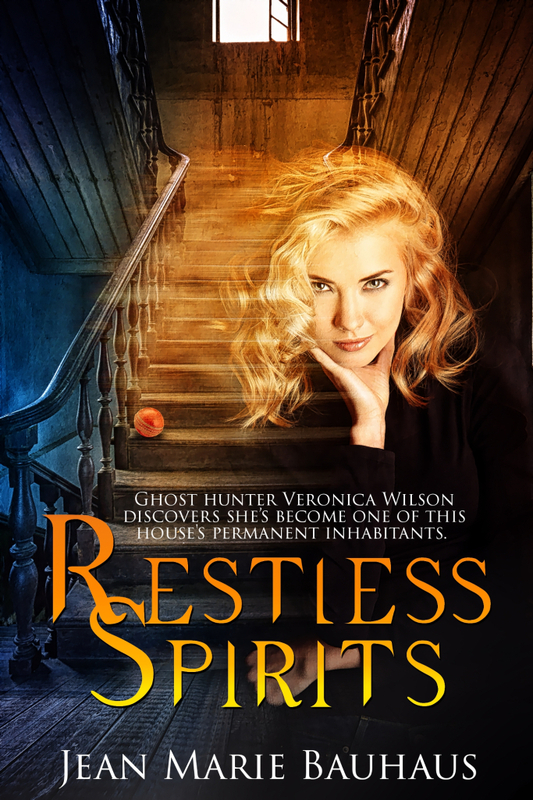 I just finished Kindred Spirits, the sequel to my debut novel, Restless Spirits. Right now I’m taking a very short break before I get started on the next book in that series. That’s tough. It’s kind of like being asked to name your favorite child. I have a lot of fun writing Ron Wilson, the main protagonist in Restless Spirits, but really all of those characters are a joy to write. 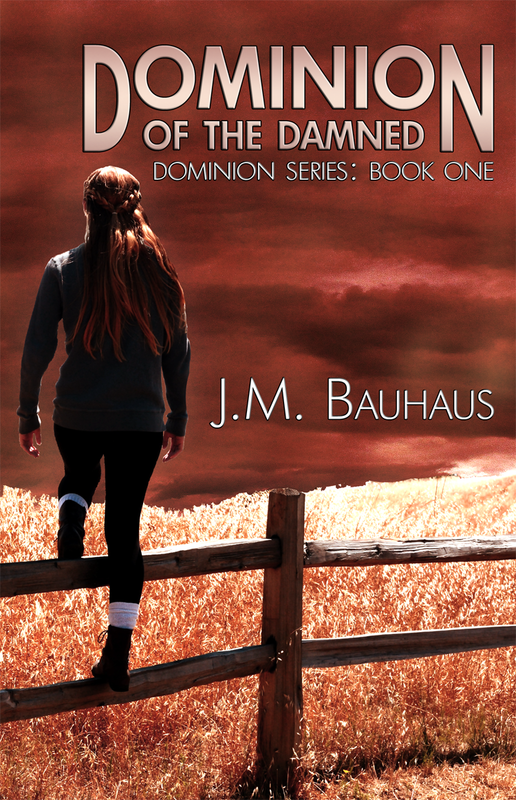 Outside of that series, I’d say my favorite is Alek Constantine from Dominion of the Damned. Not really, although the Wilson sisters both share my sense of humor. I don’t have a dedicated work space. I’ve tried that, but it turns out I hate sitting at a desk. I either use my laptop or a portable word processor called an AlphaSmart to write, so I tend to move around whenever I need a change of scenery to inspire me. Usually I’m either on the living room sofa or camped out in bed, but if the weather’s nice I’ll take it outside. 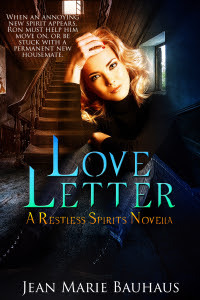 As a matter of fact, my publisher just released Love Letter, a stand-alone novella set in the Restless Spirits universe. It's available wherever e-books are sold. I’m terrible at picking favorites. This could be a long list. Stephen King, Neil Gaiman, Jane Austen, Charlotte Bronte, George R. R. Martin, Joss Whedon (he writes comics sometimes, so I guess he counts as an author), Lani Diane Rich, Jim Butcher, Cherie Priest, C. S. Lewis and J. R. R. Tolkein . . . I think all of these authors have really helped to influence and shape my writing over the years. I’ve actually never written a query for fiction. I’m intimidated so much by the process that this is one of the reasons I decided to self-publish. I’m just really fortunate that it worked out the way it did. If you’re looking to be traditionally published, my best advice is probably don’t do it the way I did it, which was to self-publish and then have my book get discovered years later by a traditional publisher who offered me a multi-book contract. That just doesn’t typically happen. If traditional publishing is your goal, I’d stick to querying agents and submitting your work to publishers. But if you want to self-publish, my advice is this: do the work and invest the time and money to produce a book that’s as professional-quality as possible. Don’t rush to get a sub-standard book out there. It’s so, SO hard to get noticed, but it will be easier if you do good work -- not just good writing, but good writing that’s well-edited, professionally formatted and has a really great cover. 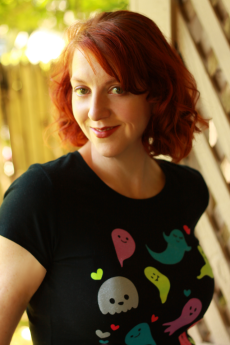 When you self-publish you’re not just a writer--you’re also your own publishing company. So treat your book the way you’d want a traditional publishing company to treat it. Would you like to acknowledge someone for their faith in you? 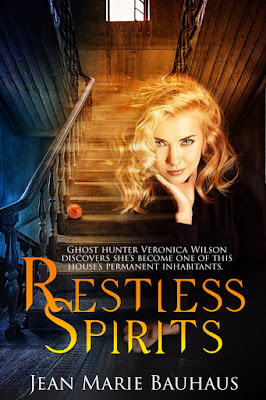 I’d really like to thank Dawn Carrington at Vinspire Publishing for reading Restless Spirits and deciding it was something she wanted to take a chance on. There wouldn’t be a series if not for her decision to e-mail me and ask if I was interested in continuing the story. 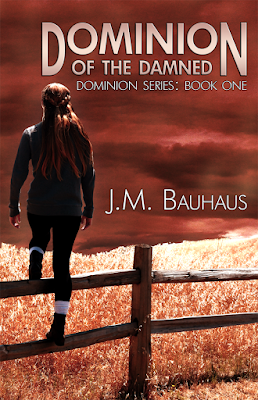 Jean’s social media links are all listed here, including her Christian lifestyle blog, Daydream Believer, which is at http://jmbauhaus.wordpress.com.